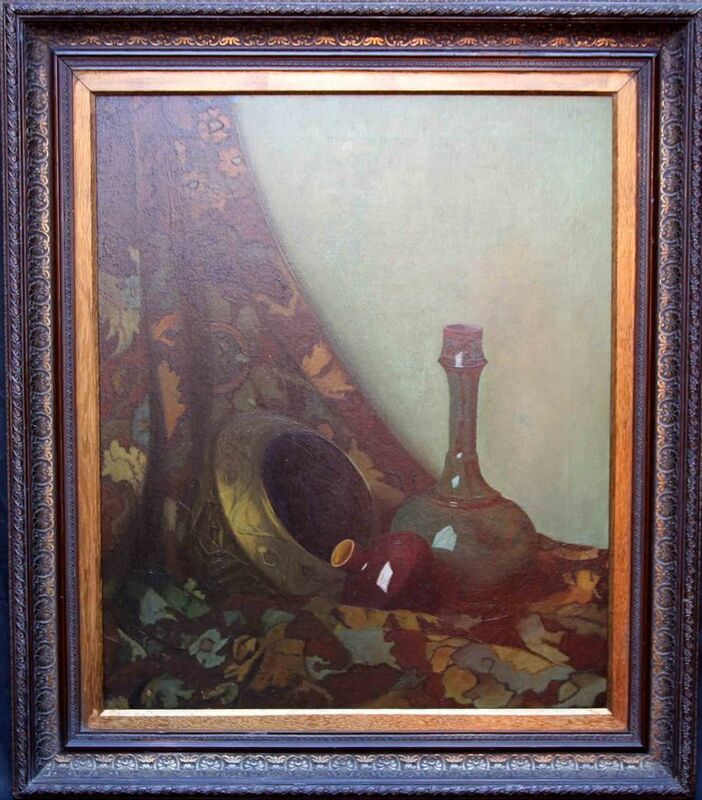 A fine oil on canvas which dates to circa 1930 by noted British artist Maxwell Ashby Armfield. 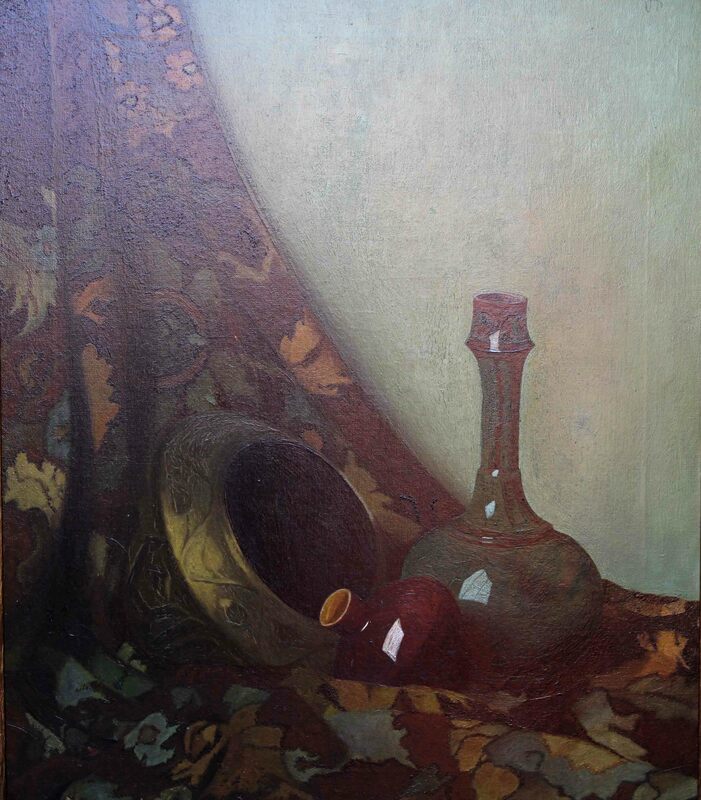 It is a super still life oil painting which depicts a couple of colourful ceramic vases and a brass pot, caught in the light, against a beautifully patterned cloth. A sublime oil painting. Signed top right with monogram and signed verso. Gallery frame 31 inches by 27 inches. In excellent condition. Maxwell Ashby Armfield (1882-1972) was an English artist, illustrator and writer. Born to a Quaker family in Ringwood, Hampshire, Armfield was educated at Sidcot School and at Leighton Park School. In 1887 he was admitted to Birmingham School of Art, then under the headmastership of Edward R. Taylor and established as a major centre of the Arts and Crafts Movement. There he studied under Henry Payne and Arthur Gaskin and, outside the school, received instruction in tempera painting from Joseph Southall at Southall's studio in Edgbaston. He later studied in Paris at the Académie de la Grande Chaumière.